New Online Store for My Original Artwork! The Jeff Moser Gallery Store! Now Open! We are launching today the new home for my Original Artwork Sales, The Jeff Moser Gallery Store! Check out this new online store for all my past and latest original artworks for sale. This will eventually be the home for all my Age Of Warbotica Original Artwork Sales and new exciting AOW-Themed Products! So keep checking back for new products later this year! To celebrate our Grand Opening, we are taking $300.00 off a large collection of selected original artworks! This offer won't last forever, so take advantage of it today!! Click here to visit the Jeff Moser Gallery Store! Age Of Warbotica is off to an awesome start and I wanted to announce that Series Two of AOW Original Artworks will be debuting this summer! A New collection of brand new, Original Artworks that will excite, entice, and intrigue all of you! To all who jumped over to check out my new creative endeavor, Age Of Warbotica, thank you! If you still haven't visited the new site, please check it out today, Thank you! Click here to visit the world of Age Of Warbotica! Stay tuned for more details to come! Busy, Busy, Busy! Check Out Some of My Recent Commissions! 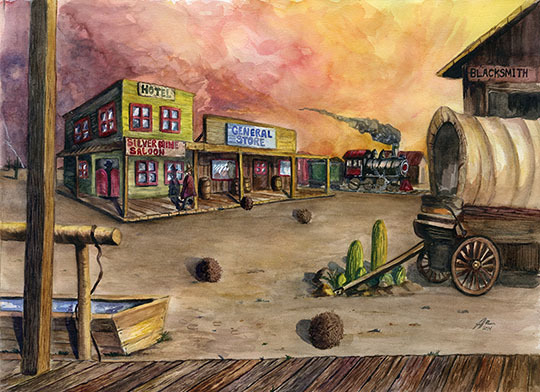 Old Western Town, ©2014 Jeff Moser, Watercolorist. (Commissioned Artwork, NFS). Tuffy: Yet another Cat, LOL! This was a cool pet portrait to create! The client wanted everything in the original photograph recreated in paint allowing for an some awesome backdrop to accent the star of the show. I really loved the patterns I needed to create to achieve this piece. Great fun! Patches: Ahhh, Patches! :-) This was a self-commissioned artwork I created for my brother, Matt. He had just recently taken home an ultra cute, Japanese Chin puppy from the Pet Store. 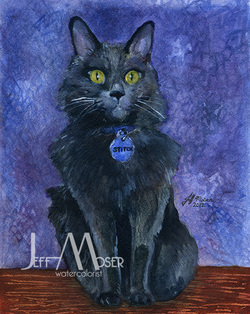 I decided to surprise him with this pet portrait one afternoon and he was overjoyed to receive it! 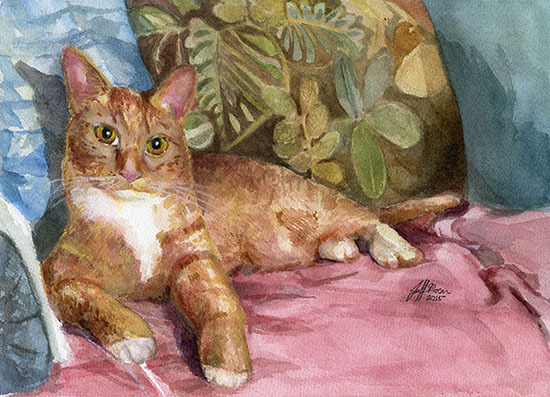 If you would like to have a Pet Portrait or Commissioned Artwork created, contact me by email at: jmwatercolorist@yahoo.com. Stitch, ©2012. (Commissioned Artwork, NFS). Hi All. 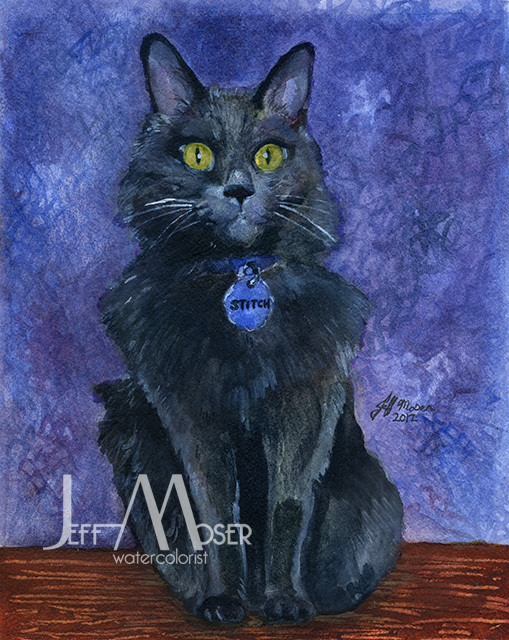 I just finished yet another cat portrait for a very happy client. It turned out quite well. I recently had created a portrait titled, "Mother and Kitten." The piece won over very well with that client, that they asked for another commissioned artwork to be created - Yay! 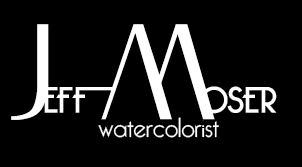 If you would like to have a commissioned artwork created, contact me by email at: jmwatercolorist@yahoo.com.